You’re probably wondering who I am exactly, so I thought I’d dedicate a bit of space in this post to introducing myself. That being said, I’m terrible with things like this and never know what I should say . . . So, here it goes: I’m in my early twenties and grew up in King’s Lynn – a small, rural town in Norfolk, UK. I lived in Lynn (as we locals call it) for most of my life, but eventually moved to Manchester to study Biology at university. I began writing shortly after I graduated and have finally taken the plunge and published my first book. 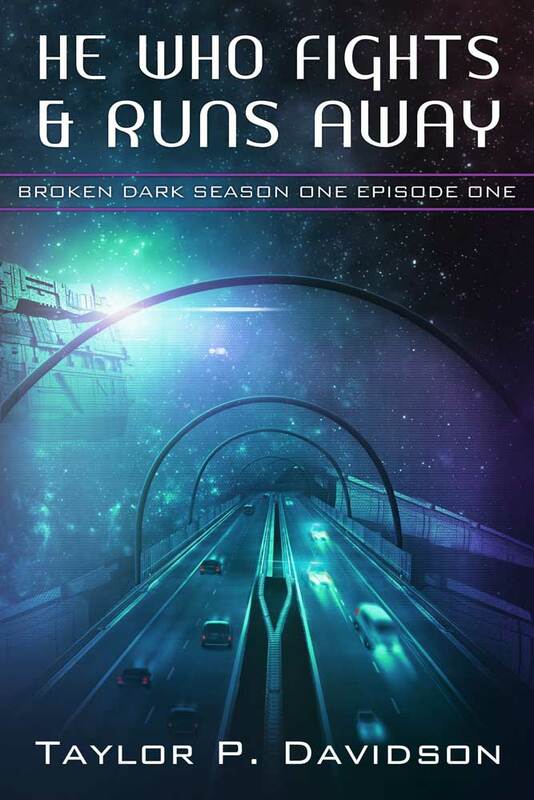 The book is actually the first episode of what will be a long running series (called Broken Dark), which is about a second Prohibition that takes place about six hundred years from now when a lord bans alcohol in the star systems he controls. Why ‘episode’ you ask? That’s because I’ve tried to do something slightly different with Broken Dark and have written He Who Fights & Runs Away as if it was an episode of a television series. I’ve purposely made it quite fast paced and have tried to place as few shackles on the story as possible to give it the potential to evolve. He Who Fights & Runs Away is available as an ebook from Amazon (UK and USA links), Barnes & Noble and Smashwords right now and already has its own Facebook group. I’m also running a promotion to celebrate its release and the novella can be downloaded for free from Smashwords by redeeming the coupon WB86S at the checkout (offer ends 06/07/2014). Lord Alasdair Donaghue, Duke of the British Stellar Dalcross Systems, has tried to remedy this with a second war on alcohol. But just as bootleggers emerged in the United States of America in the 1920’s, Prohibition has opened the door for criminals to grow rich once again. Famed for her resourceful and ruthless nature, Lisa Tant is one such smuggler. She has grown bold and confident with her ever growing infamy and it is on Calgany Space Station that she faces her reckoning. Betrayed by someone in her own crime syndicate, Tant finds herself the focus of the Alcohol Enforcement Agency and must flee the space station with her crew, cut off from her ship with seemingly nowhere to run.